It’s that time again, THURSDAY!!! Which, also happens to be Customer of the Week day! Meet Brooke, who once upon a time lived in Chicago, and then moved to DC, then traveled back to Chi-town to shop for glasses. Brooke tried and tried again to find glasses in DC but nothing lived up to Eye Spy. So back to Eye Spy it was for Brooke. After spending some time with the Specs Wrangler she settled on Caroline Abram. Brooke scooped up two frames, although we only got a picture in one frame. Brooke acutally insited a photo with the Queen of Specs. She even talked her hubby into getting a pair of glasses, who since he had never been here he got a referral discount! Brooke you look like a total babe in your new Caroline Abram frames! Thanks for the travels and tons of fun! 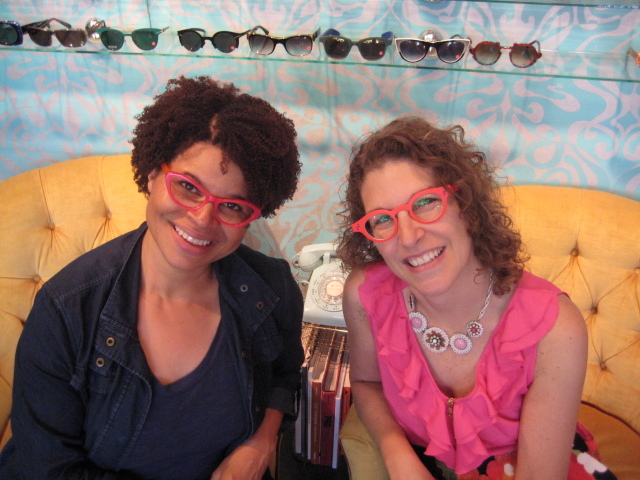 We will see you when you want new frames! 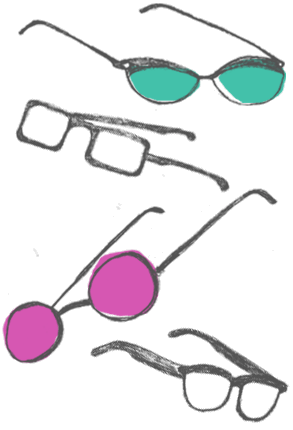 Here’s a peek at her frames! We will see you next week at the same bat time and on the same bat channel for Customer of the Week!